This edition: Paperbound. Choral collections for children's choir; Hymns by Martin Luther: Ausgaben mit mehreren Luther-Liedern. 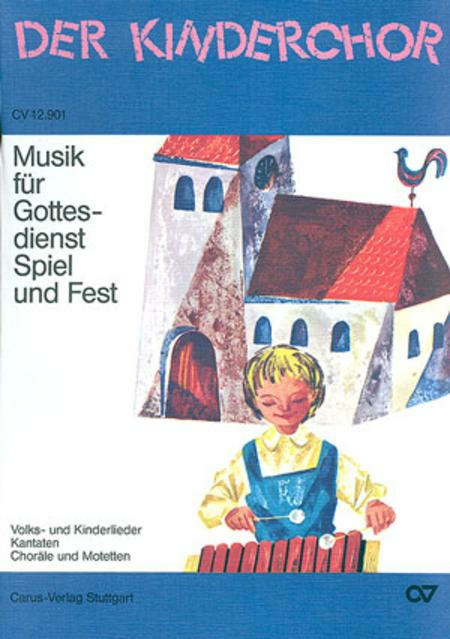 Musik fur Gottesdienst, Spiel und Fest. Psalms, German, Songs for children, Secular choral music, Special days, Ascension, New year, Easter and Eastertide, Whitsun, Reformation day, Praise and thanks, Morning, midday, evening. Collection. Composed 1992-96. 160 pages. Carus Verlag #CV 12.901/00. Published by Carus Verlag (CA.1290100).